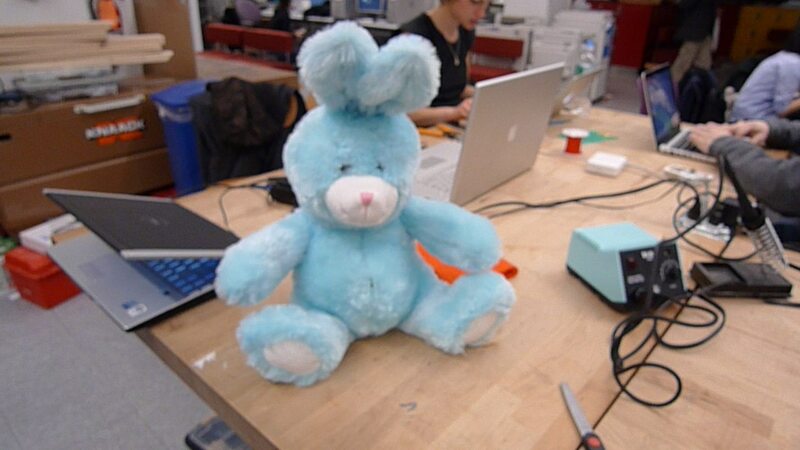 This cute little blue bunny goes insane and flails his arms when it’s tummy is warm. It has 2 servo motors for the arms and a thermoresistor to sense the heat. Clay and me made this for a physical computing assignment.